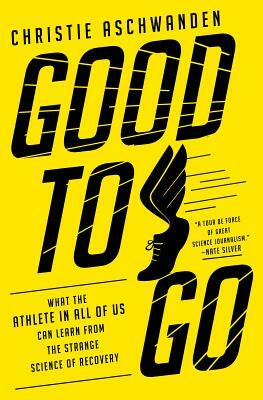 In Good to Go: What the Athlete in All of Us Can Learn from the Strange Science of Recovery (Knopf), acclaimed FiveThirtyEight science writer Christie Aschwanden takes readers on an entertaining and enlightening tour through this strange world. She investigates whether drinking Gatorade or beer after training helps or hinders performance, she examines the latest trends among athletes—from NFL star Tom Brady’s infrared pajamas to gymnast Simone Biles’ pneumatic compression boots to swimmer Michael Phelps’s “cupping” ritual—and she tests some of the most controversial methods herself, including cryochambers, floatation tanks, and infrared saunas. At a time when the latest recovery products and services promise so much, Good to Go seeks answers to the fundamental question: do any of them actually help the body recover and achieve peak performance? Christie Aschwanden appears tonight in conversation with Greg Hanscom, Executive Editor at Crosscut.com and KCTS9.